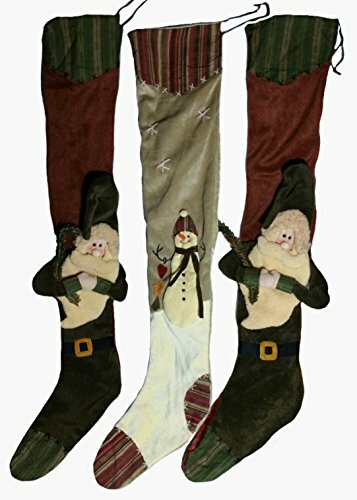 3 Stockings with dimensional home-made country rustic appeal. Delightful and artistic, all three stocking match. They hang 30", and are 6" wide.